Cholera is an infectious disease that causes diarrhoea, dehydration and death if left untreated. Spread by exposure to unclean water, either by eating food prepared with it or drinking it, the disease can spread quickly. It is especially dangerous for children suffering from malnutrition. 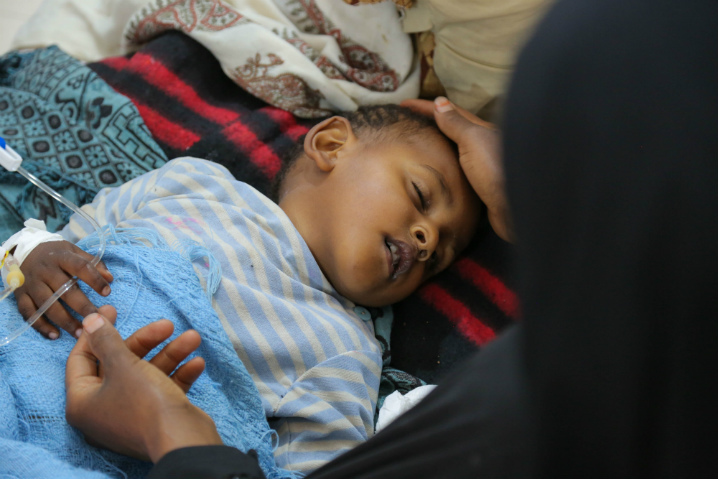 With cholera, speed of treatment is key but unfortunately the over stretched Yemeni health service is struggling to meet the needs of children. The conflict has left over 50 per cent of health facilities not fully functional and left parents reluctant to travel unless the child’s situation is very poor. Countless children who can’t reach a hospital die every day in silence from causes that can be easily be prevented or treated, like cholera, diarrhoea or malnutrition. In this desperate situation doctors and nurses continue to help as many children as possible. They are dedicated and committed, despite not receiving their salaries for over 10 months. 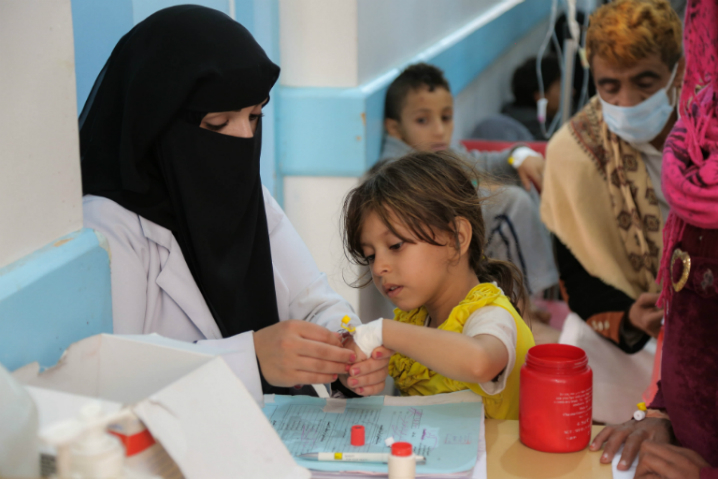 They are Yemen’s unsung heroes and we must do everything possible to provide them with the medical supplies and the support they desperately need. UNICEF is on the ground right now working to respond to this, the worst cholera outbreak in the world. Our teams are providing safe clean water to over 1 million people and have delivered 40 tonnes of supplies, including medicine, oral rehydration salts, intravenous fluids and diarrhoea kits. Yemen is suffering the worst disaster in its history. Children are, as always, the biggest victims. They are paying the cost for a conflict they have no part in. 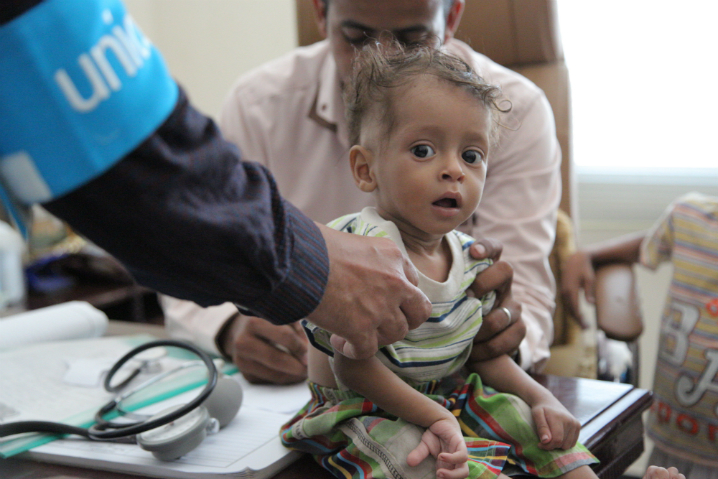 A child dies every ten minutes from preventable causes in Yemen. 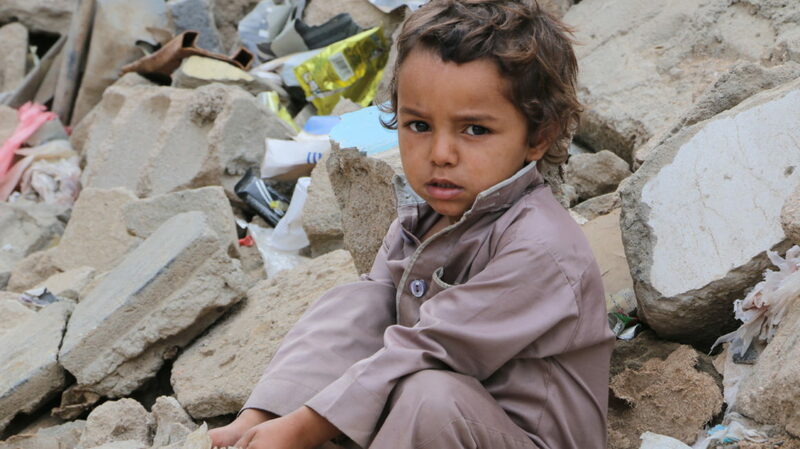 Please can you donate today to help a child in Yemen?